Cell phones must be in communication with a tower to receive phone calls or messages and to transfer data. Phone companies record people’s historical cell-site location information (“CSLI”), which can be imported onto a mapping program to show the location of the towers that received the phone’s data at certain times. Since nearly everyone has a cell phone, Law enforcement often uses this information to track suspects whereabouts. The government can use this tool to place individuals at the scene of a crime, thus negating the defense that some other dude did the crime. HOW IS A CELL PHONE’S LOCATION IDENTIFIED? A cell phone’s location can be detected through cell site location information (CSLI) or global positioning system (GPS) data. CSLI refers to the information collected as a cell phone identifies its location to nearby cell towers. CSLI from nearby cell towers can indicate a cell phone’s approximate location. With information from multiple cell towers, a technique called “triangulation” is used to locate a cell phone with greater precision. A cell phone’s GPS capabilities allow it to be tracked to within 5 to 10 feet. Cell phone location information can be “historical” or “prospective.” In addition to the location information cell phones ordinarily generate, a cell phone may be “pinged” to force it to reveal its location. HOW IS CELL PHONE LOCATION INFORMATION USED? Cell phone companies store historical and prospective CSLI and prospective GPS data, which law enforcement authorities can request from them through court processes. Historical CSLI enables law enforcement to piece together past events, for example, by connecting a suspect to the location of a past crime. Prospective location information, on the other hand, helps law enforcement trace the current whereabouts of a suspect, which can lead to arrest. DOES LAW ENFORCEMENT NEED A WARRANT? In Carpenter v. United States, 138 S. Ct. 2206, 2221 (2018), the Supreme Court held that historical CSLI data is protected by the Fourth Amendment, and thus, the government’s acquisition of such data constitutes a search which requires a warrant supported by probable cause. The Supreme Court’s opinion is binding upon Florida courts under article I, section 12 of the Florida Constitution, and an appellate court applies the law in effect at the time of its decision. See State v. Glatzmayer, 789 So. 2d 297, 303 n.10 (Fla. 2001). In Tracey v. State, 152 So. 3d 504, 525-26 (Fla. 2014), the Florida Supreme Court held that real time CSLI data was protected by the Fourth Amendment, and thus, its use by law enforcement constituted a search which required a warrant based upon probable cause. The message of the United States Supreme Court and Florida Supreme Court is unmistakable to law enforcement: “Before compelling a wireless carrier to turn over a subscriber’s CSLI, the Government’s obligation is a familiar one — get a warrant.” Thus, the acquisition of this data without a warrant based on probable cause constitutes an illegal search pursuant to the Fourth Amendment. 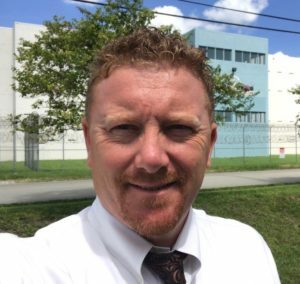 If you or a loved one has been arrested and you believe the police violated your Fourth Amendment rights, contact Broward Criminal Defense Attorney Neil C. Kerch for a free initial case consultation. This post is only general information and is not legal advice or a substitute for legal advice. You should only use this post to familiarize yourself with the criminal justice process in Florida. Importantly, each case is unique and will not necessarily be handled in the same manner as described in this post. Please contact Neil C. Kerch for a free initial case consultation if you have specific questions regarding your involvement with the criminal justice system.